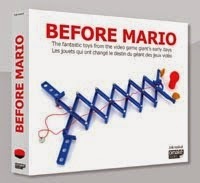 Before Nintendo became a global household name, it already had a rich history producing fun and, in some cases, downright wacky toys and games. You may have heard about the Love Tester or Ultra Hand, but few people are aware of just how broad Nintendo’s output was of in this period, and the extend to which this shaped the Nintendo of today. Nintendo is one of the grand old ladies of the Japanese game industry. Established in 1889, it spent the majority of its first 75 years producing Japanese-style hanafuda cards and Western-style playing cards. The phenomenal ongoing global success Nintendo has had from the early 1980s onwards - in handhelds (starting with the introduction of the Game & Watch game Ball in 1980), in arcades (Donkey Kong, 1981) and at home (Famicom in 1983 and NES in 1985) - often overshadows the period that preceded it. 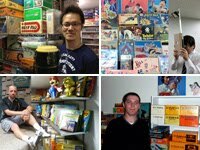 This “toy period”, which lasted roughly from 1965 to 1983, is a pivotal period in Nintendo’s past. It is the missing link of corporate history that connects the hanafuda cards to the birth of the video game hardware and software that would follow. The company culture established in the Sixties and Seventies provided the fertile ground from which their future growth bloomed. Important elements of the Nintendo philosophy of game development were nurtured in this period: fostering creativity and experimentation in design and a willingness to take this to the market, coupled with quality in execution and a focus on products that were really fun to play with. Nintendo’s staff is known to stay at the company for decades, and a number of the key figureheads from its video game days, including Shigeru Miyamoto and Gunpei Yokoi, started out in the toy period, getting their first design experience developing these toys. The majority of these toys and games did not make it beyond the borders of the Land of the Rising Sun, as Nintendo did not really start to market internationally until the Eighties. As a result, even though many did well at the time in their home market Japan, most of what is shown here is still quite obscure and unknown in Western territories. In this blog I will introduce you to these gems, taken from my personal collection.